This is the poetry one (he’s in a few this year), although Mr Jupitus did also point that out fairly early on just to make sure. There are two approaches to the free fringe: relative unknowns removing the last cost barrier for anyone who might become fans, and thus creating the widest pool to draw from; or those more well known, like Phill, who find that a free show relieves the pressure and expectation. Despite this lack of stress, there was nothing less than the complete confidence, competence and professionalism you would expect. With regard to content, the poems remain honest and amusing, though with perhaps fewer profound thoughts expressed than last year. I especially like the poems from show titles (now a book!). It seems to be common for a special guest to be invited; I was thoroughly ambiguous about the guest I saw, being unsure whether to understand him as a parody of a poet, or a serious one. He amused the audience either way. 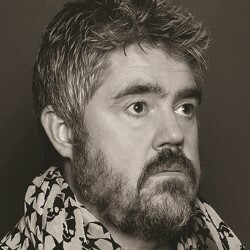 It’s a free show (an excuse Mr Jupitus uses judicially but often), and worth a shot.